Katherine Town Council wants to divert money from the sportgrounds upgrade project to help fix its second main oval there. It will grab $300,000 from the $4.4 million promised last year to redevelop the Don Dale pavilion and $200,000 from its own reserves to fix the No. 2 oval in the sports precinct. The new plan to will be put to council for approval at its monthly meeting tomorrow night. The No. 2 oval has had “minimal use” over the past two seasons because of concerns regarding the condition of the playing surface, a council report states. “This has resulted in up to 14 different teams/activities using Oval 1 which has placed a great strain on the playing surface of this oval. It has also required much consultation between the user groups and council officers to create a schedule which satisfies the needs of those groups,” the report said. The council will be told No. 2 oval requires major reconstruction/resurfacing to bring it up to the appropriate standard required of a major playing field. Council has been told a quick-fix was possible but it would be costly and still need the investment of about half a million dollars to fix the oval in two or three years time. “Council has received a grant of $4.8 million from the NT Government for upgrades at the Katherine Sportsgrounds and approval has been received to use up to $300,000 from these funds on the oval improvements. “If council proceeds with the full reconstruction of the oval at the estimated cost of $506,000 a budget variation to the 2018/19 budget of $206,000 will be required from reserves,” council’s agenda papers state. It was not clear from the council papers whether a sportsground advisory group had been involved in the new plan. 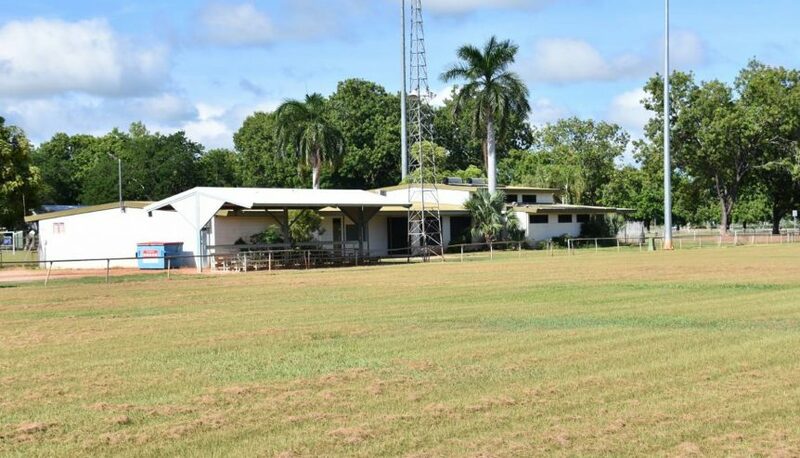 Katherine has another major playing field at the showgrounds, Nitmiluk Oval, chiefly used for hosting AFL training and matches during both wet and dry season competitions. One recommendation was for “that the Sportsgrounds Advisory Committee/User Groups be advised of the decision and council liaises with User Groups to facilitate the timing of these works”. There is also little discussion about the removal and disposal of the topsoil from No. 2 oval which council agrees is contaminated, likely from PFAS contained in contaminated bores used for watering.